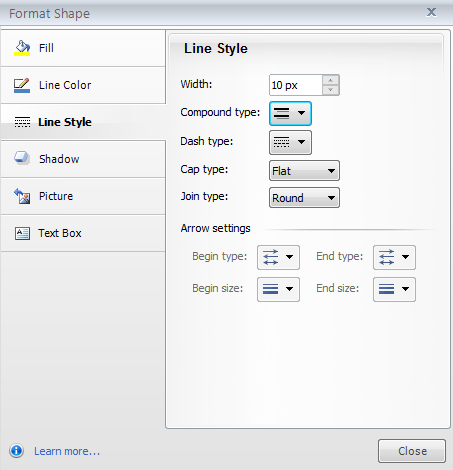 This tutorial covers the Line Style options on the Format Shape or Format Picture window. Here’s an overview of the other formatting options you can select on that window. 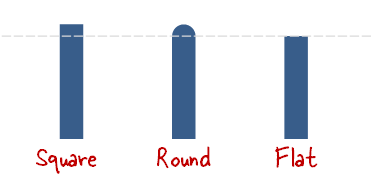 Type a width, in pixels, or use the arrows to increase or decrease the line width. Use the selector to choose a style composed of multiple lines, if you like. Use the selector to choose a dashed line style, if you like. If you’d like your line endings to include arrowheads, use these selectors to choose the type and size.